Good Blood is a work in progress production that looks closely at the relationship of two sisters. Entertaining and familiar scenarios are refreshed and brought into focus to shed new light on family ties; the bonds that hold us together and the people that make us. Keira and Sioda were born and bred in Barnsley, Yorkshire. They trained at the Northern School of Contemporary Dance and have gone on to have successful careers working for the past 20 years travelling around the globe, including; Bermuda, Jamaica Costa Rica, Brazil and Ireland, to name a few. 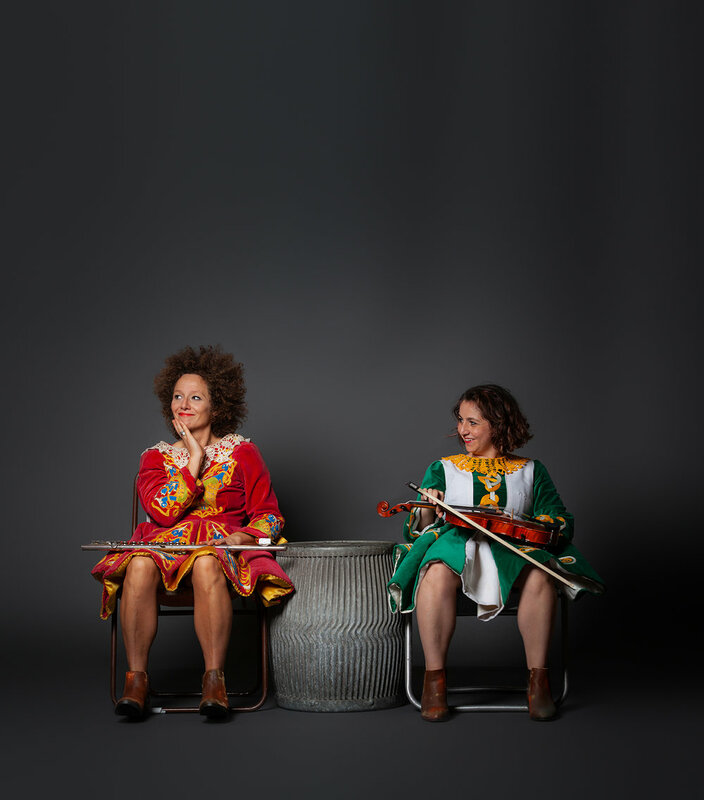 The two sisters are inspired and influenced by their working class upbringing, politics, Ireland, dance and music. They are both mother’s and have an unforgettable dynamic that is humorous and heartwarming. If there is one thing they both agree on, it’s that you don’t get owt without hard graft. Keira Martin, the older of the two, is based in Leeds and is a maker and mover of dance. Her most recent successes are her solo work Here Comes Trouble The solo has toured successfully for the last 3 years including Edinburgh festival. Here Comes Trouble was selected for the Rural Touring Dance Initiative menu 2017-2018. Keira was selected for The Bench – female choreographers programme. Outside of her own work Keira regularly performs and collaborates with other independent companies and artists. Sioda Adams, the younger of the two, is based in Leamington Spa. A previous full time company dancer for Motionhouse as well as working with other companies including Cscape, and Ace Dance and Music amongst others. Most recently she was Rehearsal Director for 2Faced Dance Company. Sioda leads her own work under the name Earth Bound has recently been successful with Arts Council England funding to create a new outdoor dance, theatre and circus show Painting Venice touring this year. Commissioned by NSCD Northern Connections and 2FACED Dance Co The BENCH Seed Commission and Arts Council England. Concept and direction by Keira Martin choreographed in collaboration with Sioda Adams.